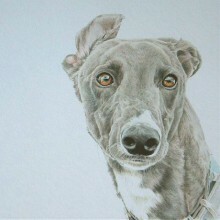 See below for a series of prints which you can purchase now. 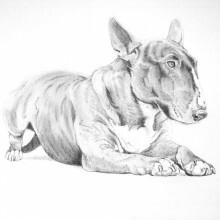 This lovely Bull Terrier Limited Edition Print has been created by Meriel Burden, a local artist bas.. 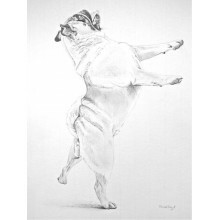 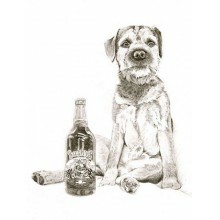 This super cute Chinese Crested Dog Limited Edition Print has been created by Meriel Burden a local ..
Pug's are wonderful dogs and we believe that this dancing Pug Limited Edition Print captures their g.. 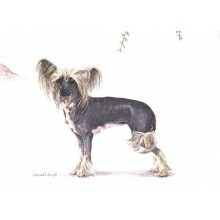 Choose a dog print greetings card from the lovely studies created by the wonderfully talented Meriel.. 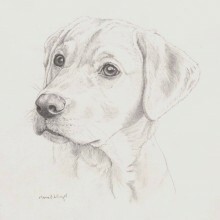 Choose 5 dog print greeting cards from the lovely studies created by the wonderfully talented Meriel.. 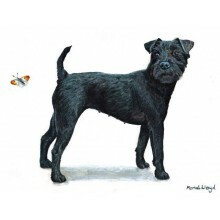 Choose 5 dog print greeting cards from these lovely studies created by the wonderfully talented Meri..
A must for all Patterdale dog lovers. 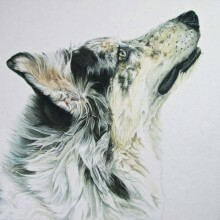 This Limited Edition Print has been created by Meriel Bu.. 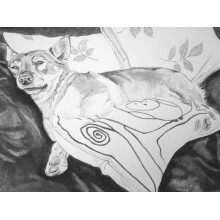 This lovely study of a seriously relaxed Vallhund has been painted by Isle of Man based artist Merie.. 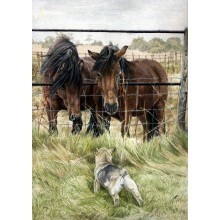 This lovely study of a Swedish Vallhund pup with Dartmoor Ponies has been created by local artist Me..